In this episode of DanceCast, Silva interviews Margot Greenlee, a choreographer, theater director and artist educator based in Washington DC. Here, Margot discusses her involvement with Jacob’s Pillow’s Curriculum in Motion® and her own project, BodyWise Dance, which provides dance classes and workshops for individuals and groups in healthcare, education and corporate settings that offer movement as a way of learning and processing information. She details one program of BodyWise wherein dance and theater practitioners work with a group of people with intellectual disabilities to create and perform an original show with the goal of using performance as an opportunity for community integration. Margot Greenlee’s approach is based on 20 years of experience in community arts engagement, first as a solo artist and later as a company member with the Liz Lerman Dance Exchange. Margot holds a BA from Kenyon College and an MFA in Choreography and Performance from Ohio State University. 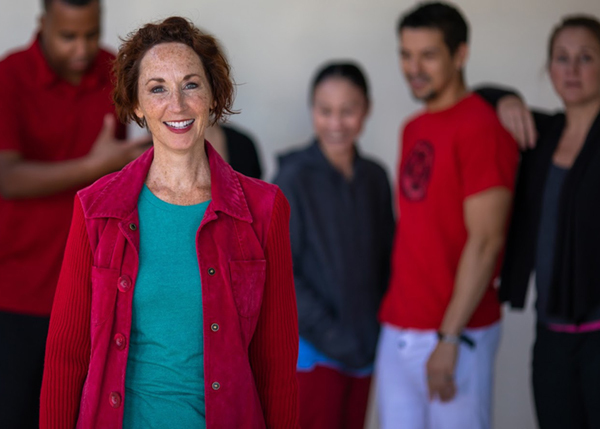 Nationally recognized as a master teaching artist, Margot brings her artistic team of professional performers and arts therapists to lead programs in educational, healthcare, and corporate settings. Current project partners include Washington DC’s Army Distaff, the Eurasia Foundation, Fairfax County Department of Therapeutic Recreation, Jacob’s Pillow Curriculum in Motion®, and MVLE.